Even on a Tuesday, you cana��t help but thank god ita��s Friday. Dashing off to this American diner style restaurant to check out their new menu, we were greatly surprised to find that there werena��t just new additions, but a complete overhaul. Onion Bites loaded with cheese made up for it. Apart from that, you could opt for the roasted jalapeno, salmon avocado crisps, grilled Caribbean wings or salads. tomatoes, but turned out a bit bland. 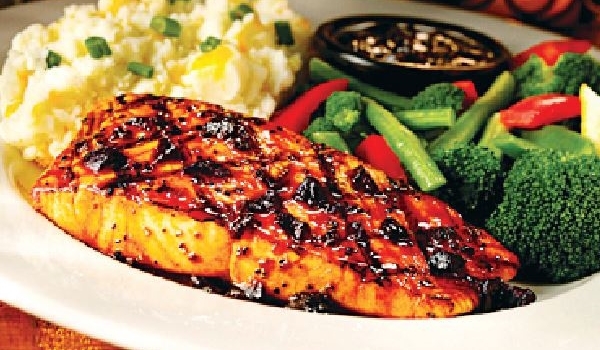 If youa��re looking for plenty of protein, we recommend the Miami Cubano chicken steak. Two lightly breaded chicken breasts serve as bread would in a sandwich, with shredded mozzarella, sauteed mushrooms, bacon and a tomato basil mix making up the filling. Grills, pasta, burgers and pizzas are all still on offer but in different avatars. Despite being stuffed, we made room for our friend Mr Daniels again, but this time in the form of dessert. Swimming on a sizzler platter filled with whiskey, the whiskey cake was rather sublime, and the perfect way to end. `1,500 for two. At Lido Mall, MG Road.